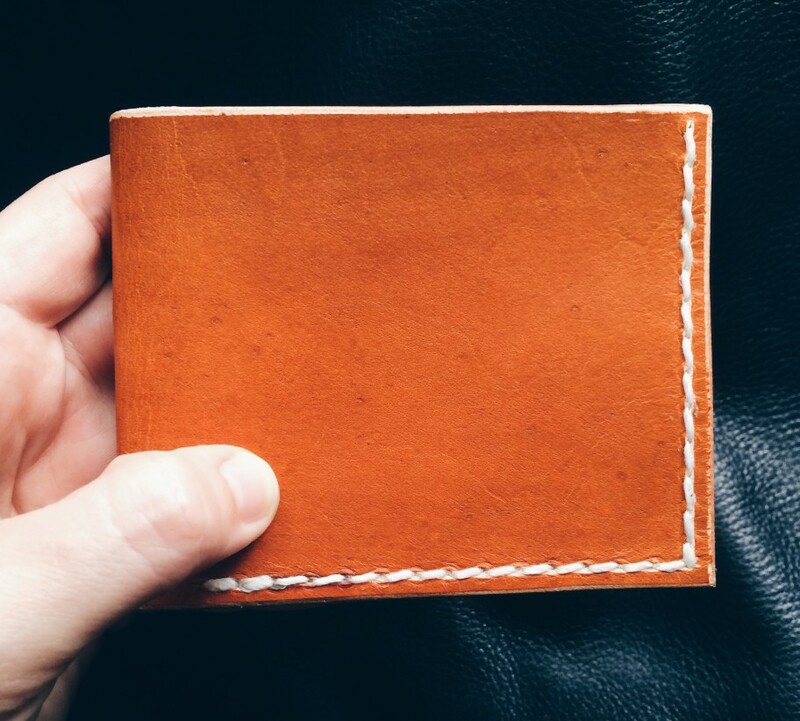 This is a simple and rugged billfold wallet that will hold all of the essentials. 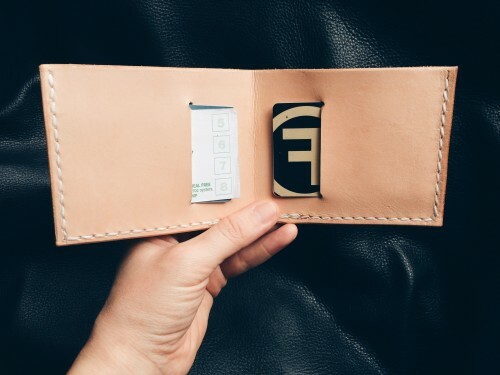 The wallet holds bills and receipts in the back and has two card carrier slots on the inside. 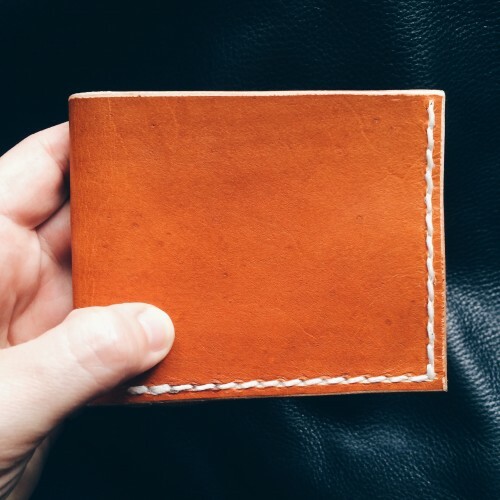 I made this sturdy but minimalist wallet with vegetable tanned leather. 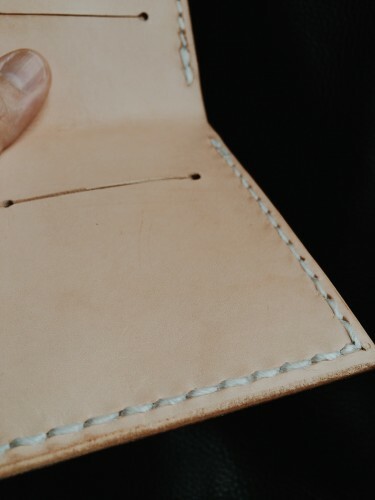 First I dyed the back panel with saddle tan oil leather dye and finished the interior panel with leather sheen, leaving it in its natural color. 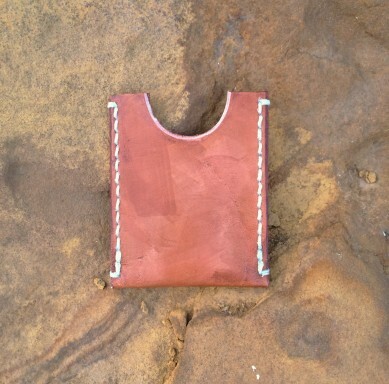 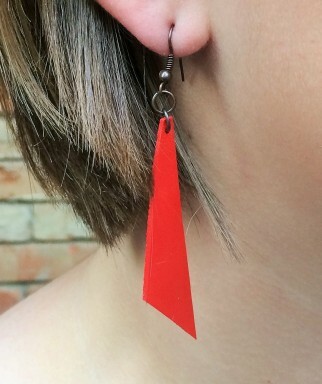 I beveled and burnished all the edges to give them a good seal and handmade the pieces together. 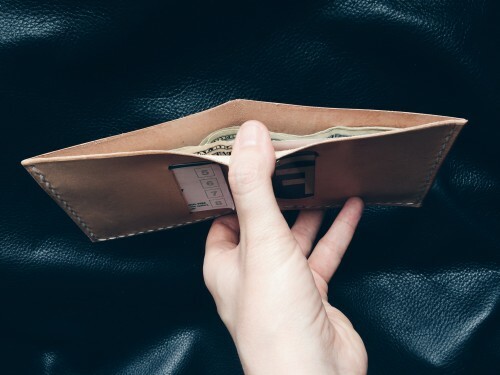 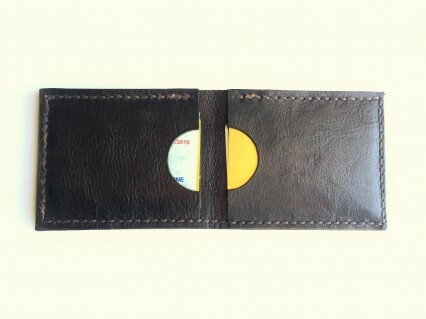 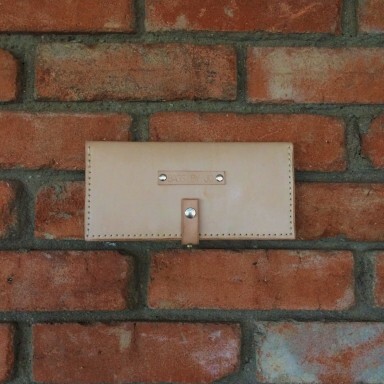 This wallet is simple and raw in style but refined in craftsmanship.